Excellent Cleaner – Restores the high visibility of rubber goods. Multiple Packages – Can be used in field, in tool rooms, and testing facilities. Harmless – Safe to use on EPDM and natural rubber. Increases Reliability – Uncovers hidden damage. Biodegradable – Friendly to the environment. 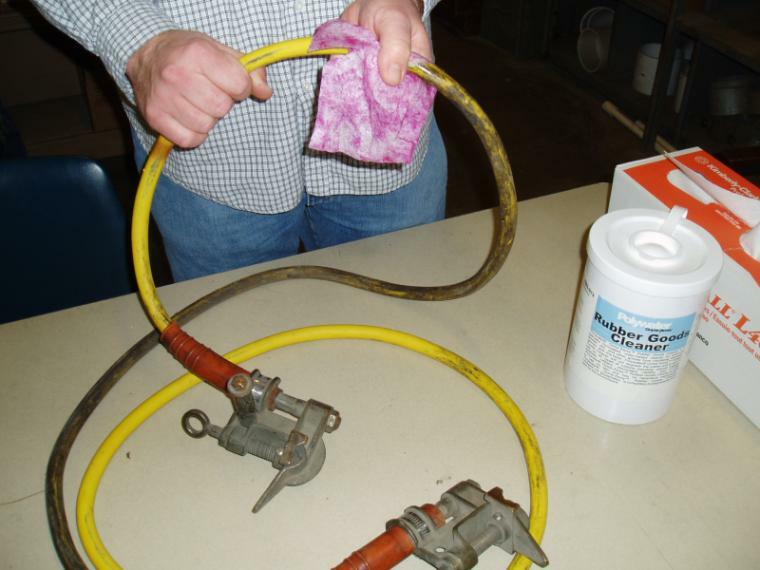 Polywater® Rubber Goods Cleaner is a specially formulated water-based cleaner for removing grease, dirt, carbon, creosote, and other grimes from insulating blankets, lineman’s gloves, rubber sleeves, jumper cables, hot jumpers, and line-hose. Rubber Goods Cleaner is safe for use on all natural and synthetic rubbers. Unlike other water-based rubber cleaners, Rubber Goods Cleaner contains no hazardous ingredients and is pH neutral, making it safe for use on skin. Rubber Goods Cleaner is also completely biodegradable and safe for the environment. Why Clean and Inspect Live Line Rubber Goods on a Regular Basis? Cleaning of rubber protective equipment is necessary not only for visual inspections but to preserve electrical integrity, remove incompatible contaminants, and extend its useful life. Creosote, dirt, grease, and other contaminants can be conductive, especially when combined with moisture from rain, snow, and fog. Protective equipment should be cleaned daily and whenever it appears dirty with contaminants. Strong industrial cleaners and solvents such as petroleum distillates and d-Limonene may cause permanent damage to the rubber protective equipment. 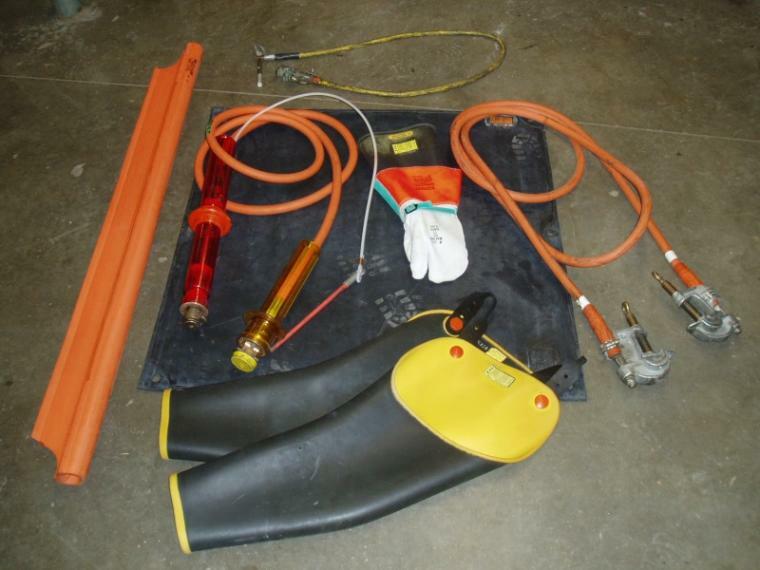 These products may cause rubbers to swell, soften, and lose electrical insulating properties. EPDM rubber is used for protective equipment because it has excellent resistance to ultraviolet light, ozone, and oxidants, but it has poor solvent resistance, making it susceptible to chemical damage. Daily use of Rubber Goods Cleaner makes inspection of protective equipment easier and helps to maintain its electrical insulating properties.